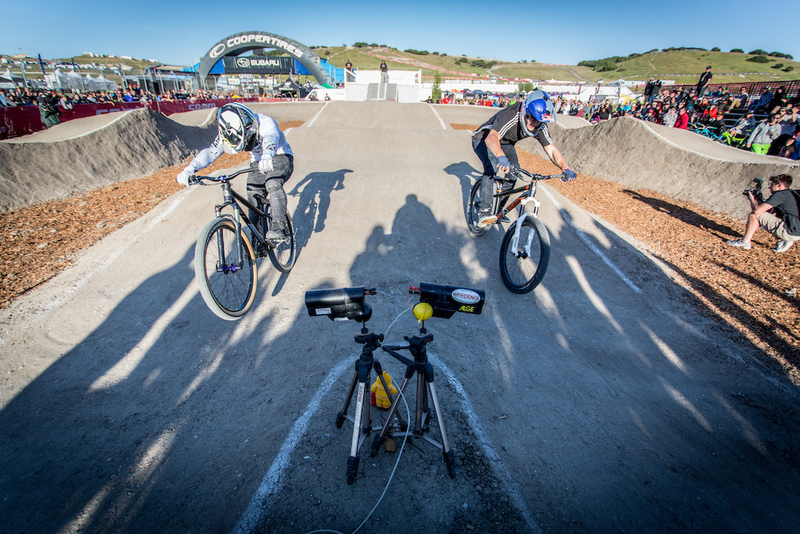 With the sun setting behind Laguna Seca Raceway, the pump track challenge got underway here at Sea Otter. 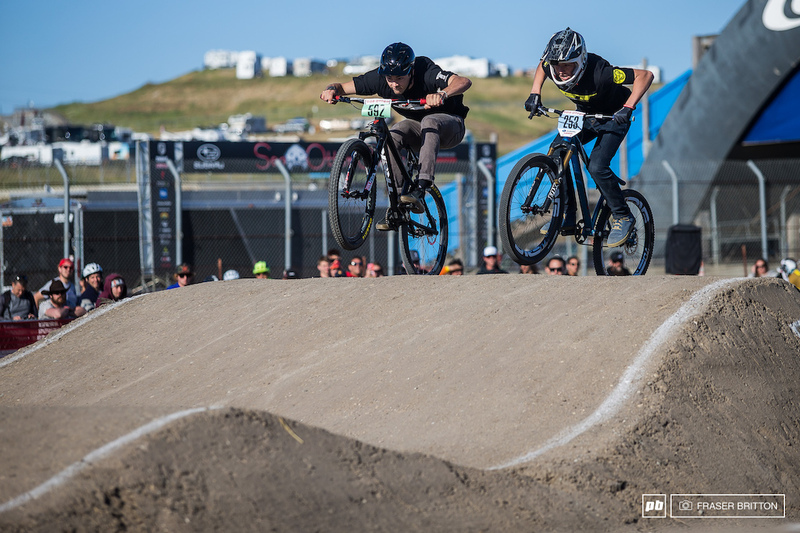 With a few big names in attendance, the level of racing was high, especially in the last few rounds as Olympians, Freeriders and ex World Champions took on one of mountain biking's most deceivingly exhausting events. There were over 50 participants for what the organizers expected to be a smaller turnout. The crowd was seemed to be enthusiastic about the course and location. Zink vs Nobles. Prize Fight. Caroline Buchanan takes on Jonna Johnsen. 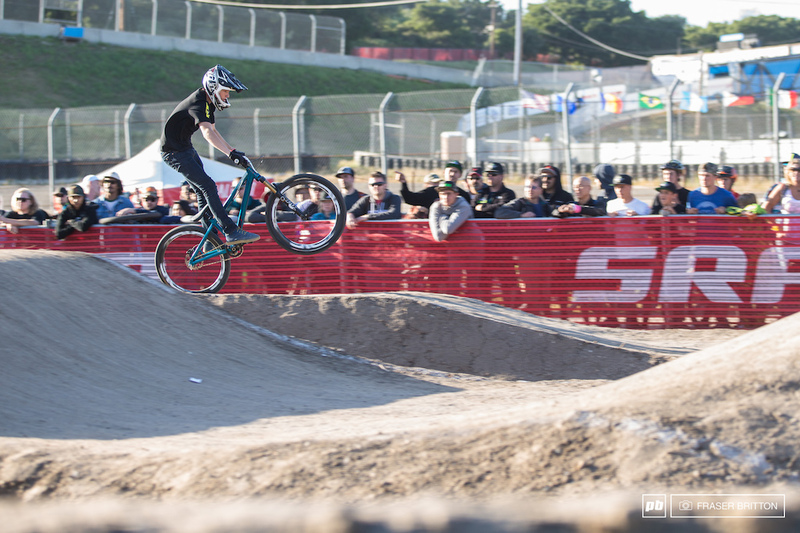 Cam Zink made an appearance on the pump track, albeit briefly as he had to go up against eventual second place finisher and professional BMXer Barry Nobles early in the heats. Joe Foresta and Walker Shaw out of the gate and into the sprint. After a long day riding the Enduro yesterday, Anneke Beerten was back on another one of her factory GT bike and took this place. 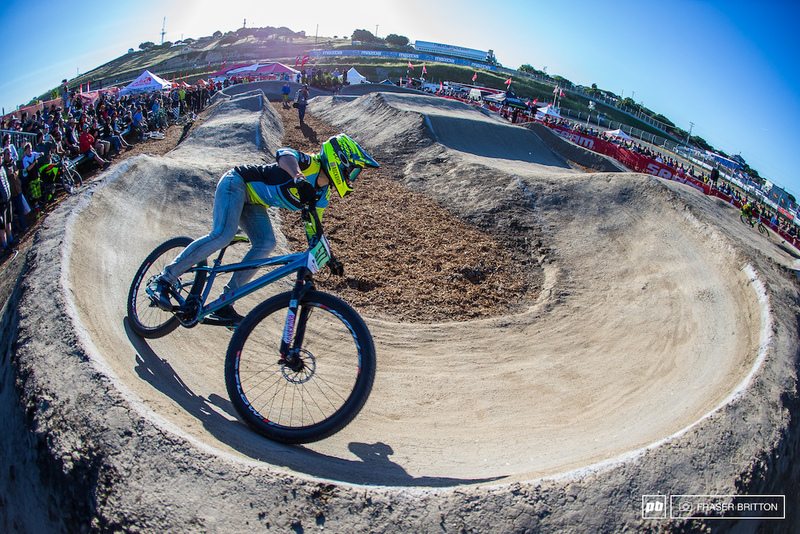 Luana Oliveira of Brazil spent all morning on the DH track and all afternoon here on the pump track. 4th place this evening for her efforts. 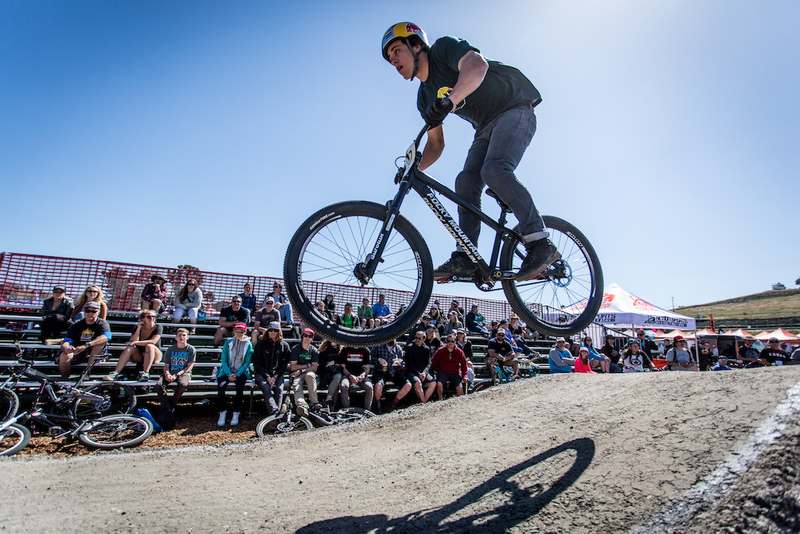 Kyle Strait is no stranger to the pump track challenge. The perennial favourite went out early tonight though. Barry, giving Buchanan advice on how to play the course. 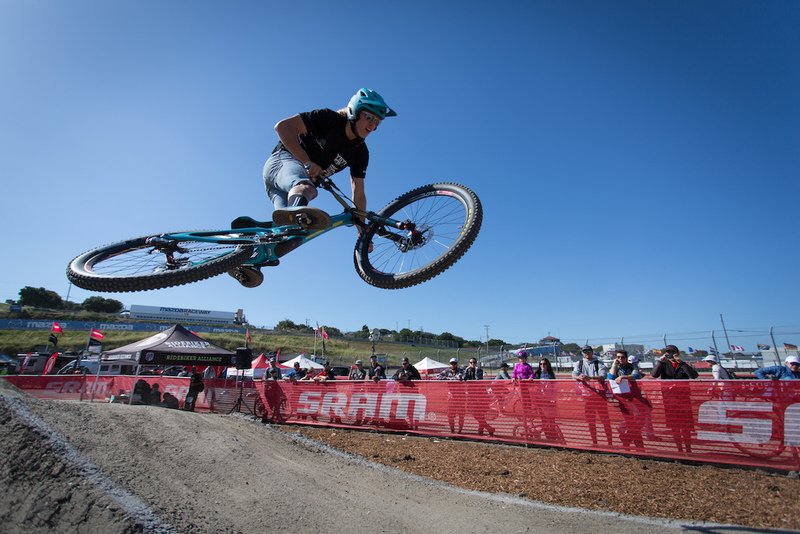 Anneke Beerten down the backstretch here at Laguna Seca. 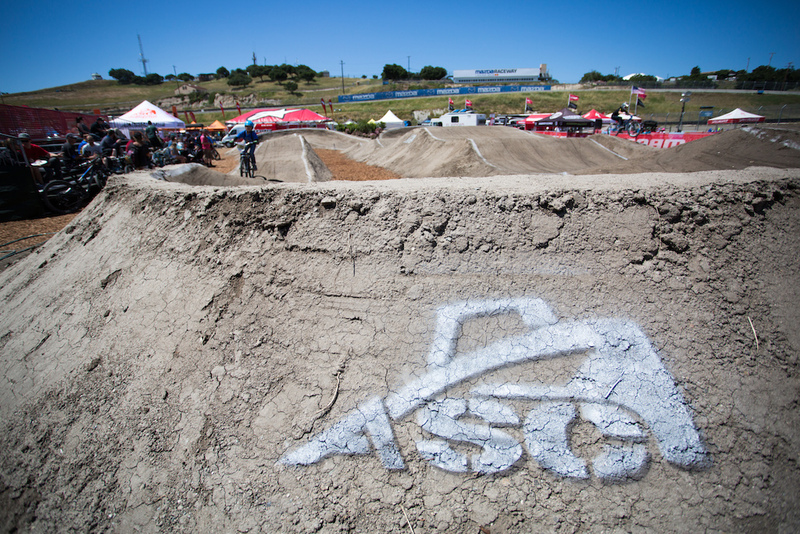 ASC, Action Sports Construction built the pump track and they did an amazing job. 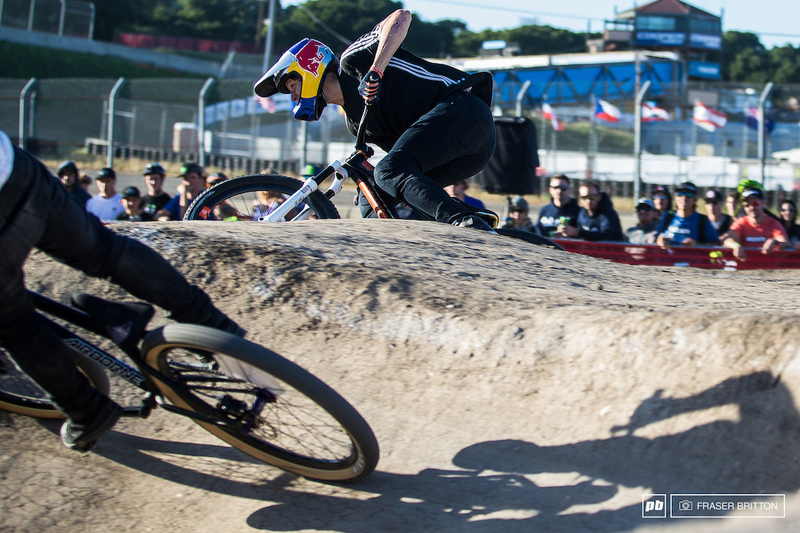 Carson Storch, looked brilliant in practice but a bobble in the qualifiers left him short of the final cut. 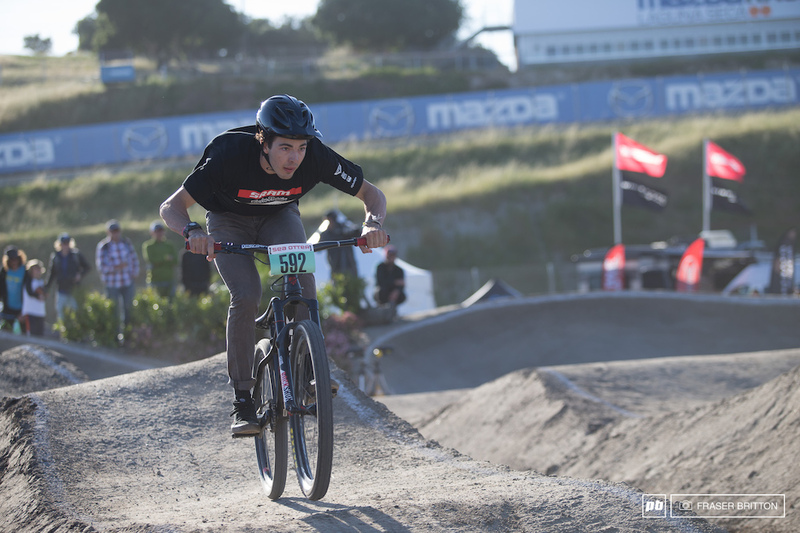 Cody Kelly, made it to Otter to play around on the pump track. 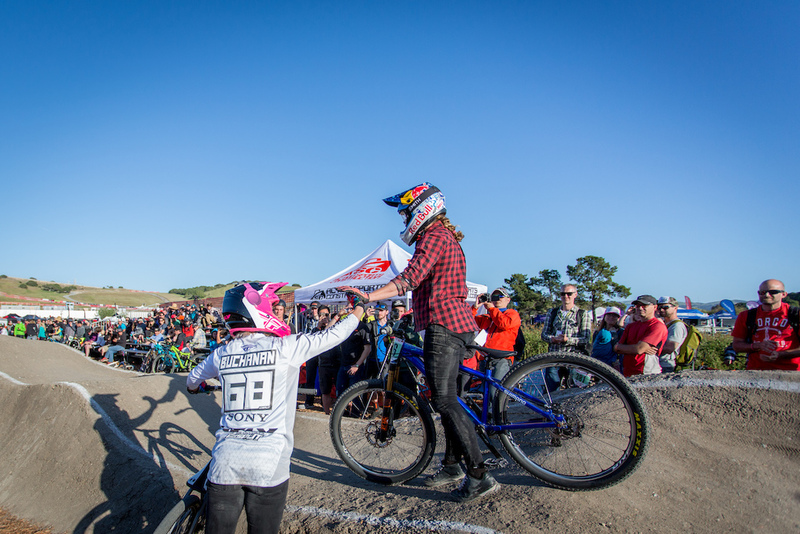 Buchanan high fives Kitner after Jill had a spill during the first heat of the Women's final. 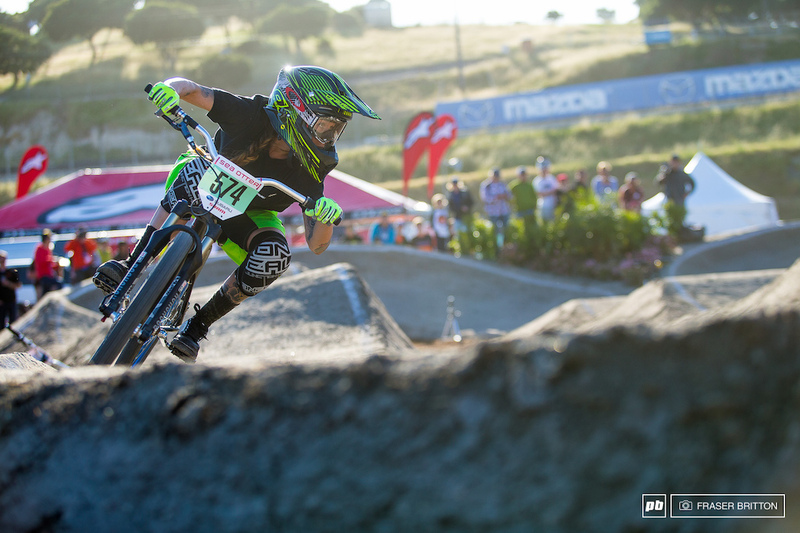 Walker Shaw was doing it for SRAM/TLD this evening on the little bike. 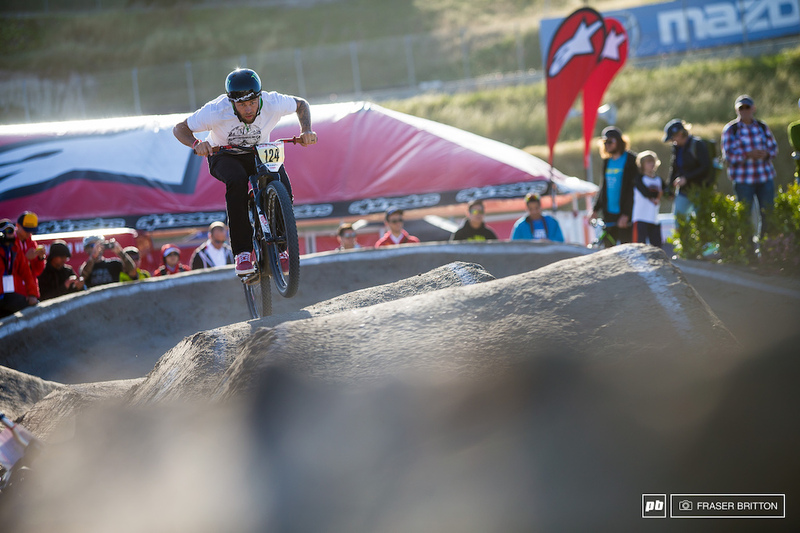 Foresta manuals his way past the crowd and into the bronze medal spot. Joe Foresta leads of Christian Wright. 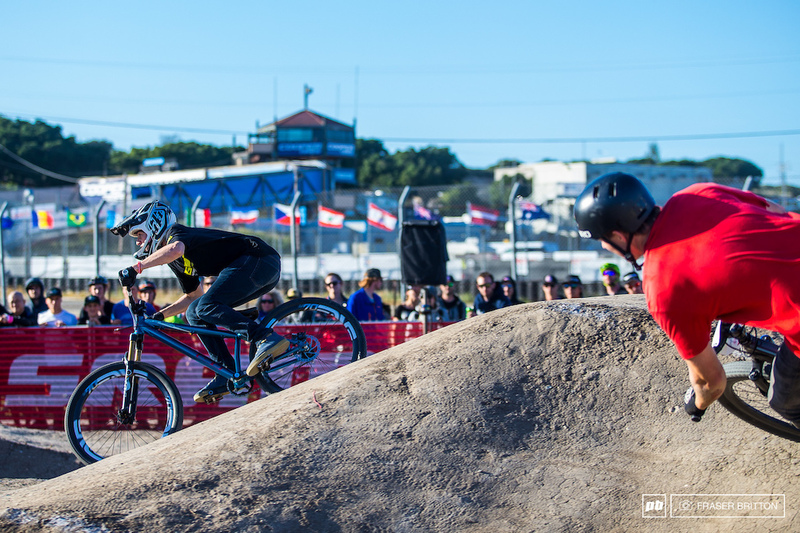 Kintner fought hard, but just couldn't keep Buchanan within reach after going down in the first heat. Just a few months away from Rio, no one knows better than Kintner what kind of shape Buchanan is in at this point as she prepares to go for Olympic gold. 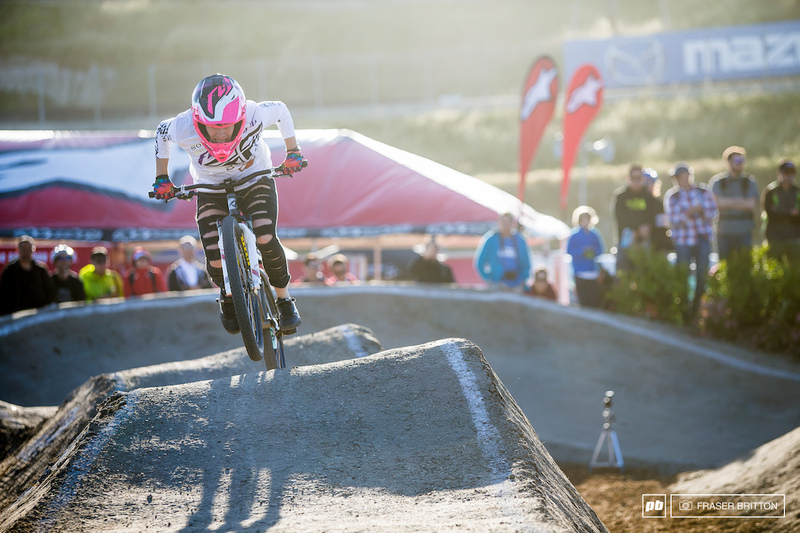 Caroline Buchanan pumps her way through the fading light to victory over Jill Kintner. 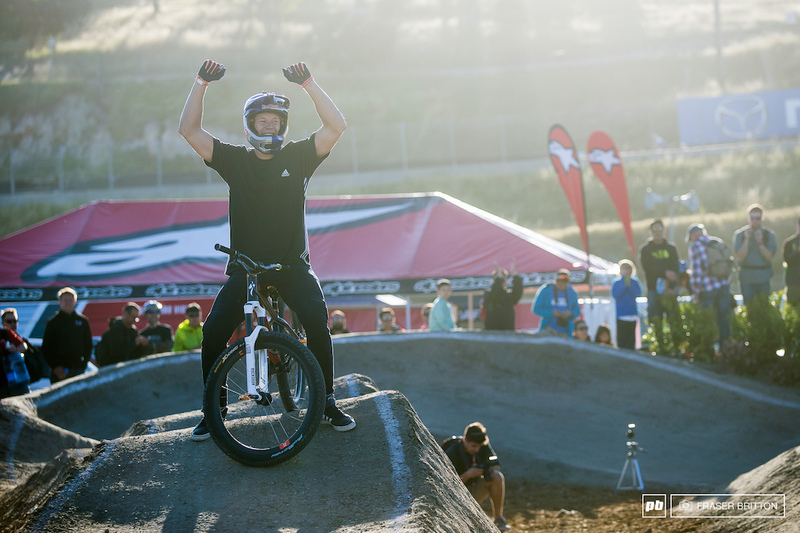 Nobles was less than a wheel ahead of Soderstrom heading towards the finish, but the big man managed to reel in the American for the win. 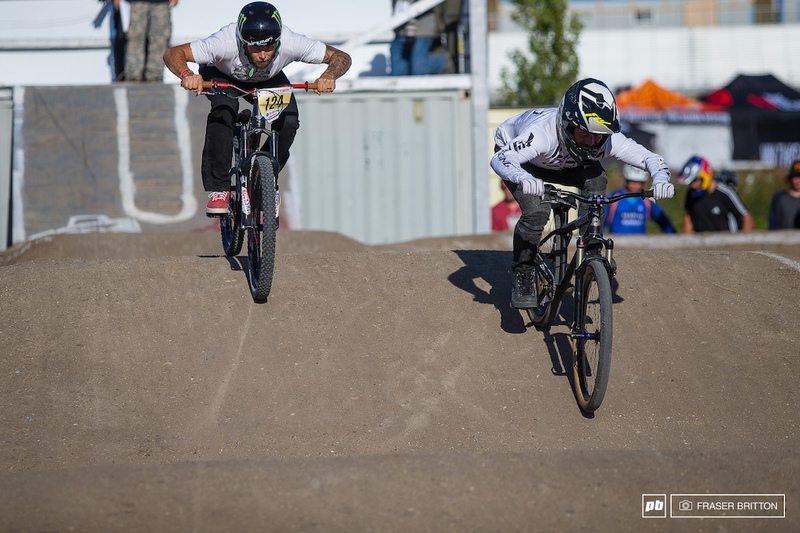 It was essentially a photo finish for the Pro Men's Pump track final between Soderstrom and Nobles. 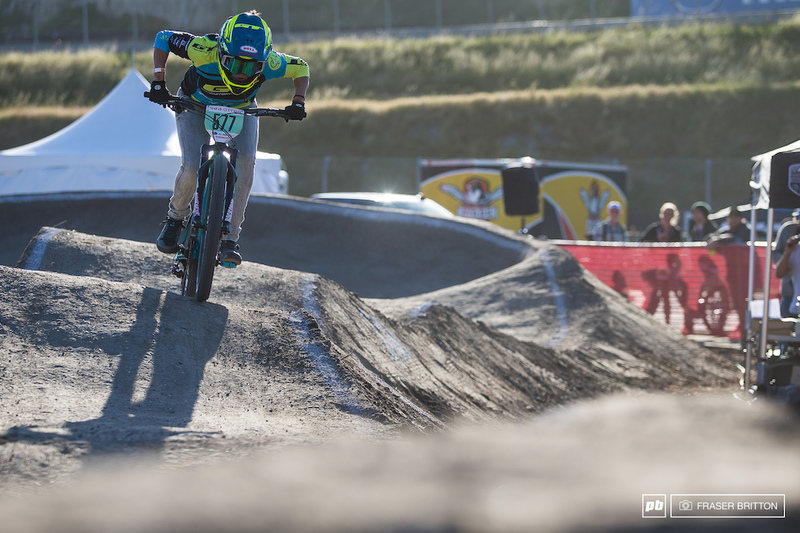 Sweden's Martin Soderstrom celebrates a hard fought win. Sea Otter. Just a big cycling love-in. 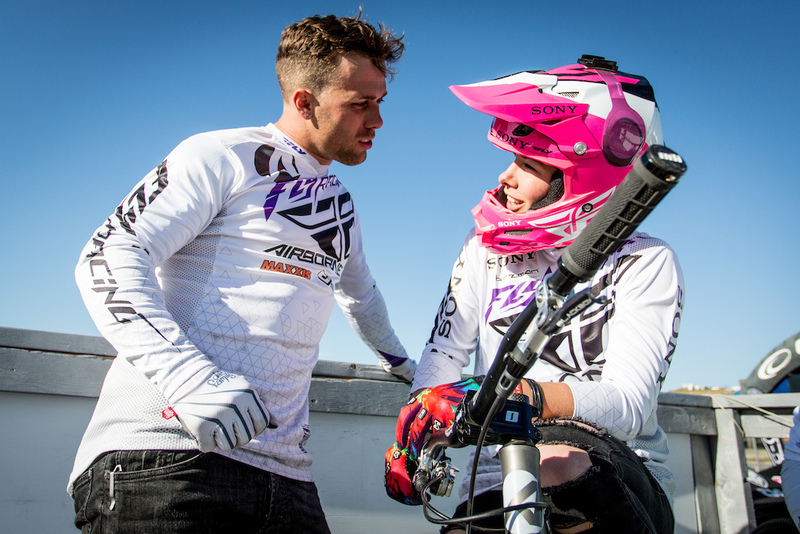 I wonder how Caroline and Barry would do on their BMX bikes. They are such animals. And Joey Foresta at 15 years old mixing it up with the big dogs taking third place! Nice Joey! 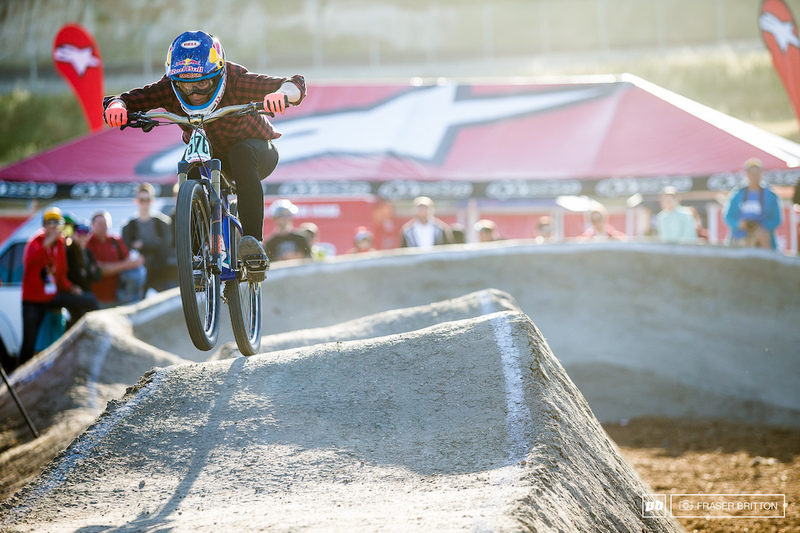 dare to soderstrom. but does anyone know why he doesnt seem to enter the slopestyle comps anymore. @bthomson84: he has been recovering from leg injuries and is working his way back up to top performance level. He does not qualify for diamond events yet but is competing at lower level until his points get back up. 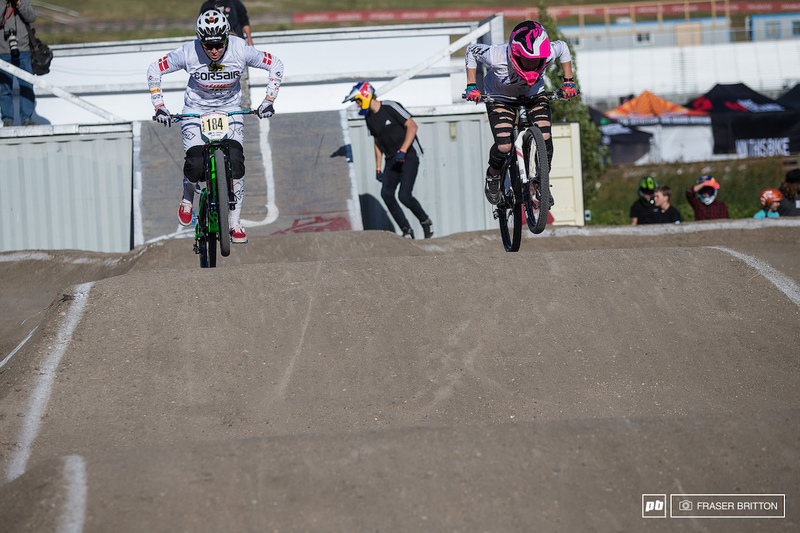 @bthomson84: I think He Broke his leg 3 times now, since that epic crankworks battle in 2013. 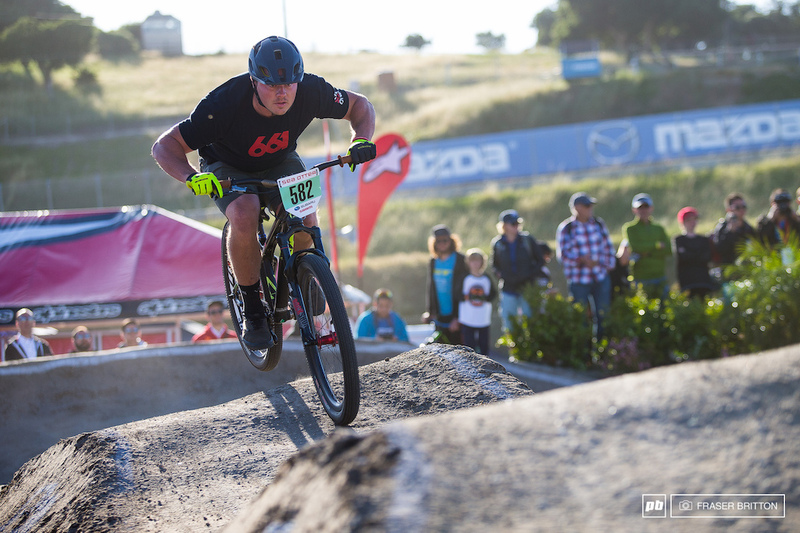 I understand that Buchanan is insanely fit and skilled on the track, but but do those ripped-to-shreds jeans really give that much of a weight reduction?? 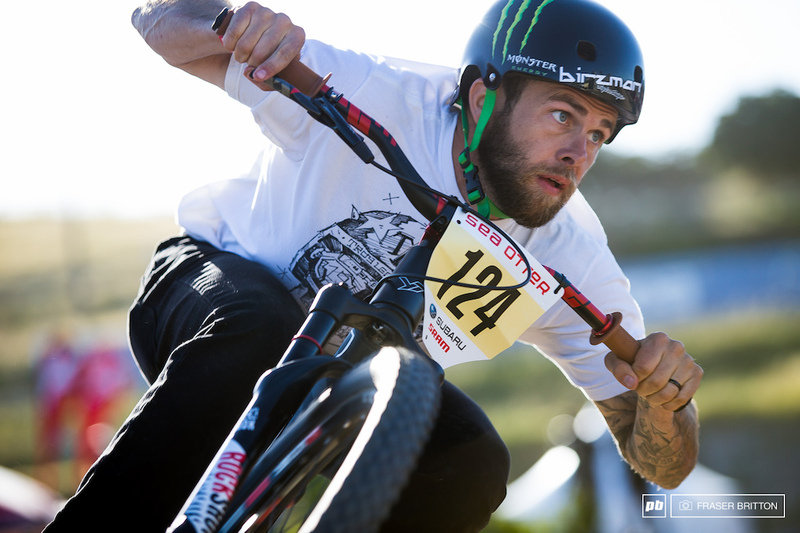 WHY ISN'T SLICE OF BRITISH PIE ON THE PINKBIKE HOMEPAGE? 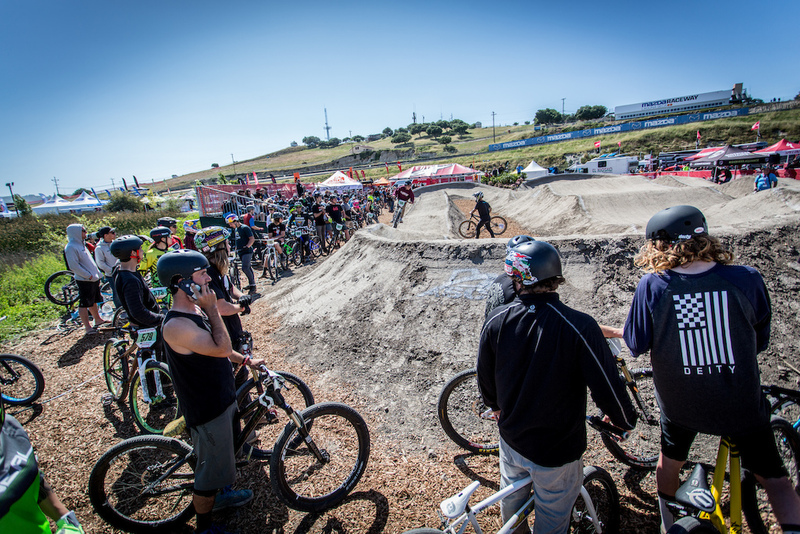 Dimensions of the pump track? Building one in my backyard this year and having a hard time picturing the size of this one compared to my available space. Maybe the fmb judges were scoring the event!? 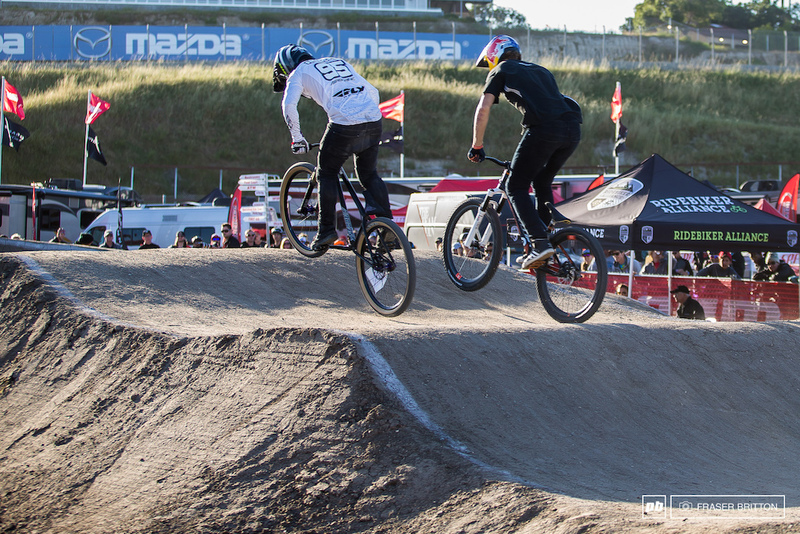 It's BMX, what's not to like! well when Enve sponsors you, they would like you to ride their wheels. Anneke is from Foothill Ranch, CA? Mountain biking...The only time when skinny jeans makes sense. 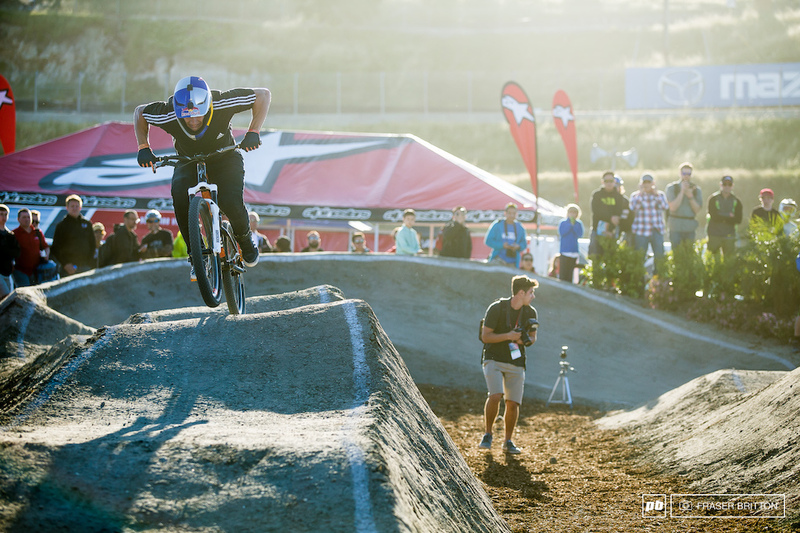 I just can't get excited about anything pumptrack related.